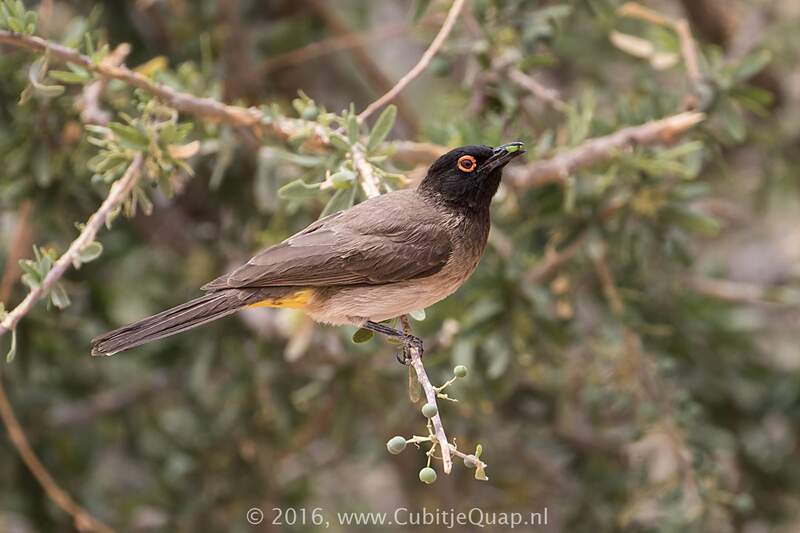 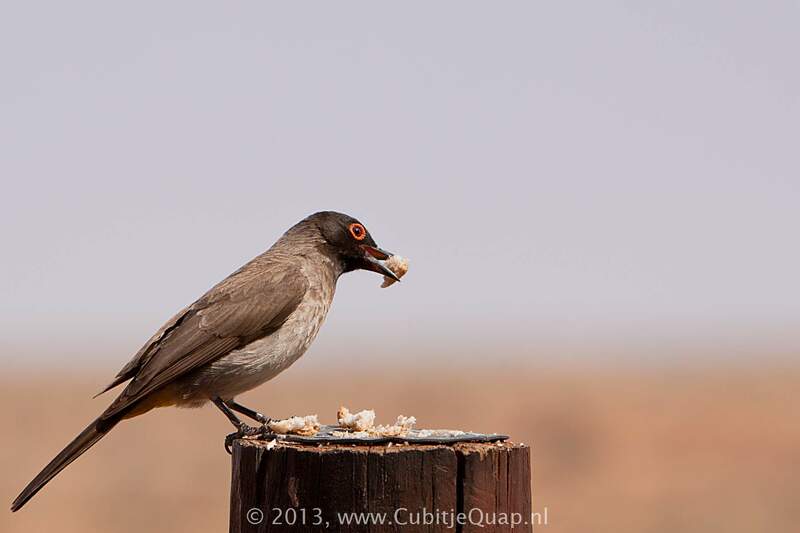 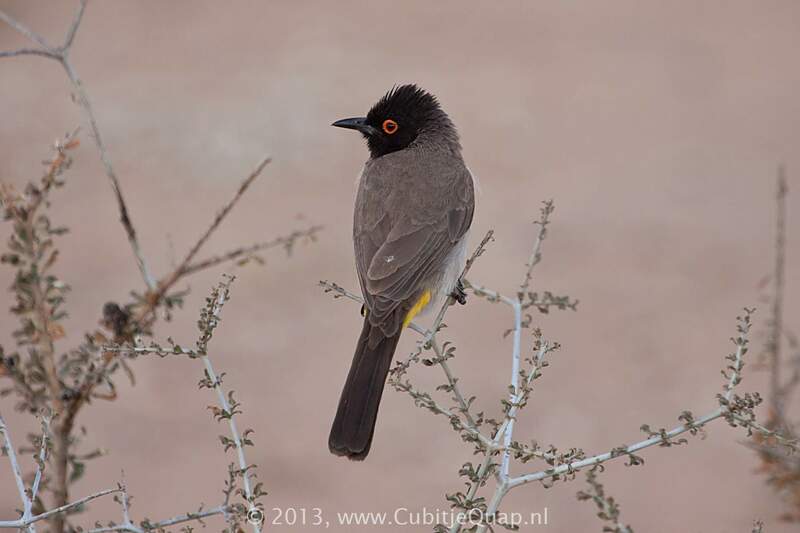 The red eye-ring is diagnostic and distinguishes this species from Dark-capped and Cape Bulbuls. 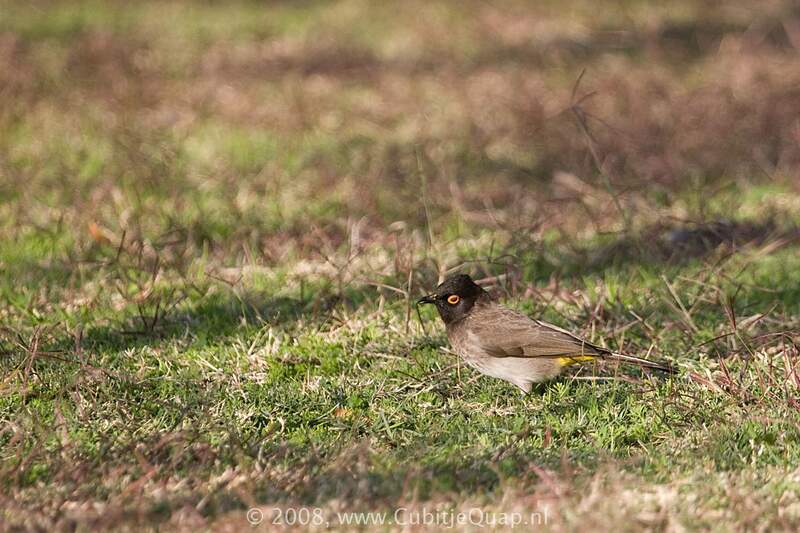 The head colour is darker than that of the Dark-capped Bulbul and contrasts with the greyish buff collar and upper breast. 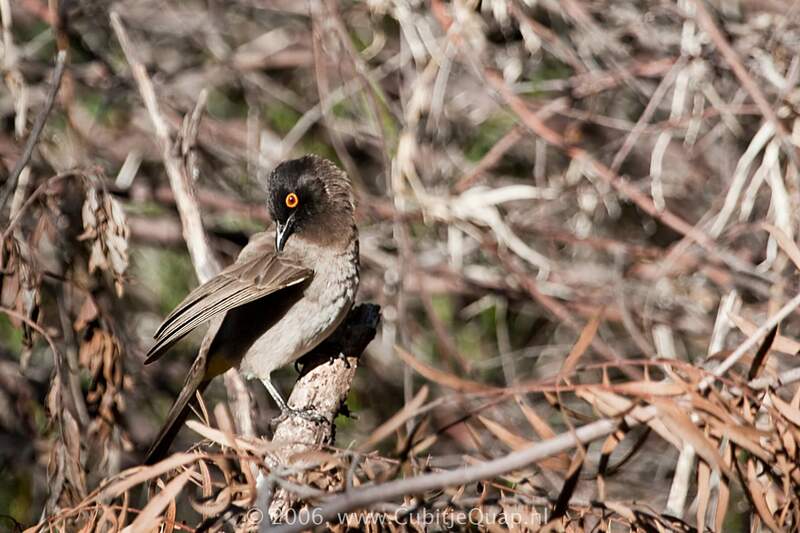 Juvenile may be distinguished from juvenile Dark-capped Bulbul by its pale pink eye-ring. 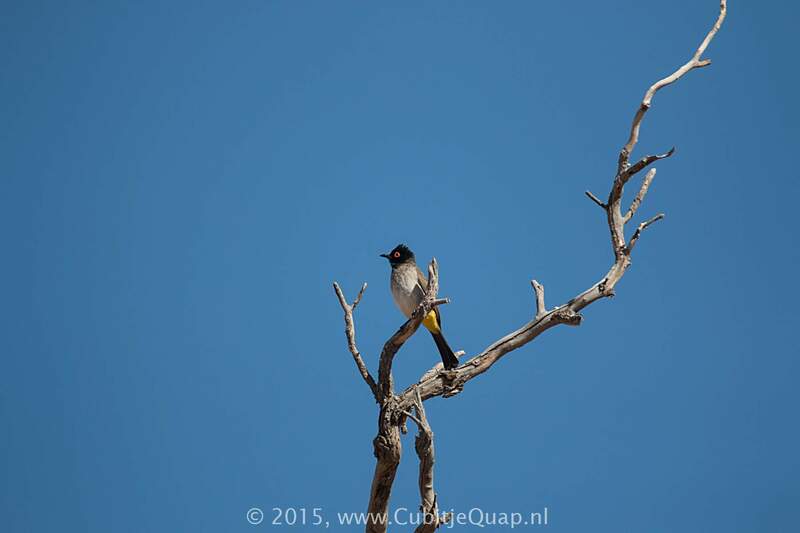 Thornveld, riverine bush and suburban gardens. 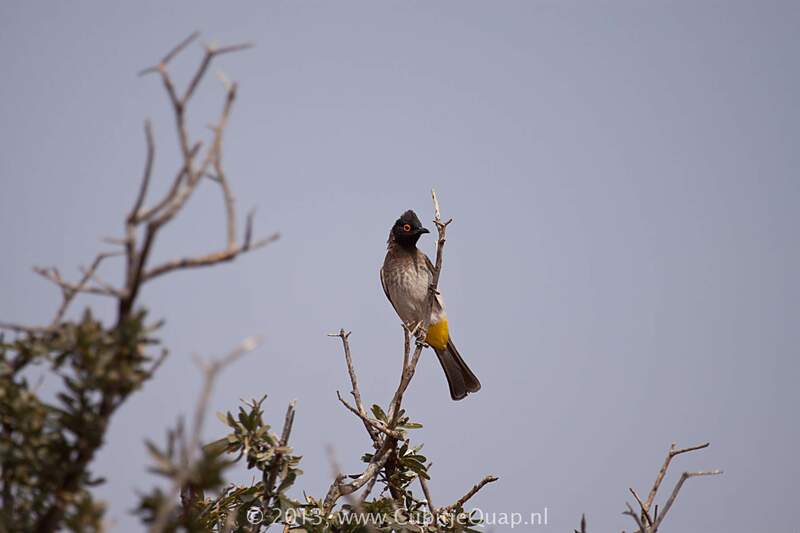 Liquid whistles similar to those of Dark-capped Bulbul.